The word sultry could have been invented to describe the looks and voice of singer Julie London, her album covers are much sought after by collectors of vocal LPs. She started her career not as a singer but as an actress in non singing roles and made a number of these in the early Fifties. 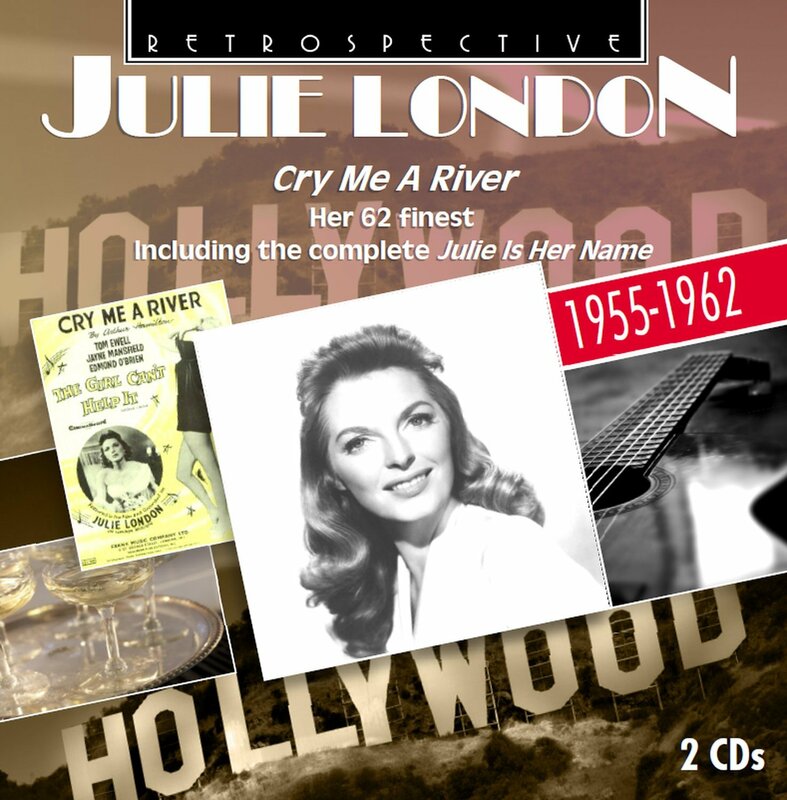 Ten out of the forty tracks on the album were written by her husband the singer songwriter Bobby Troup and in a number of them Julie London is also co-writer. As all these tracks were issued as singles many of them are them are aimed at that market but all of these are treated with good taste by Julie London. “Cry Me A River” is the first song on the album and solo particularly well and is the recording which brought her to the publics attention and it hs never been bettered by any other singer. The songs taken from the Great American Songbook are sung with the knowledge of the struture of the song and two of the standout tracks are “It Had To Be You” and “It’s A Blue World”. “Come On-a My House” is approached in very much in the style of Peggy Lee’s “Fever” and Julie London pulls it off. “Makin’ Whoopee” is a different take on this number and “Comin’ Through The Rye” is treated as you’ve never heard it before. The slightly more up tempo numbers are lightly swinging and are given that extra edge by Julie London’s approach to them. Any buyer thinking of purchasing tiis album should not be put off by the Singles title as there is much on this album of interest.